Carol Lynn Estates is an affordable residential neighborhood located off Ocean Highway E in Leland. Construction of this community began in the late 1990s but new homes are still being built. They feature open floor plans, two car garages, and front porches. Best of all, the homes are located on large lots, so it doesn't feel like you're looking in your neighbors' windows. 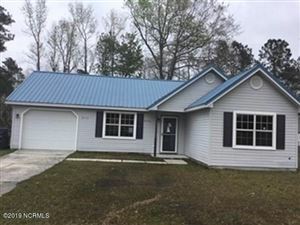 The community is a short drive from area shopping and dining, and Cape Fear National Golf Course. Browse the listings below to see pictures, features, amenities, school information, and more. Please don't hesitate to contact us if you're interested in viewing a home or have questions. We can help you with this community or any other in the Greater Wilmington real estate market.